Weekly Kirtan Samagam for 30/05/08 has been fixed at Automech Gurudwara. This is going to be a special monthly samagam. With Guru Ji’s blessing, we will be having this 4 hour samagam once in a month (on last friday of each month) from now onwards. 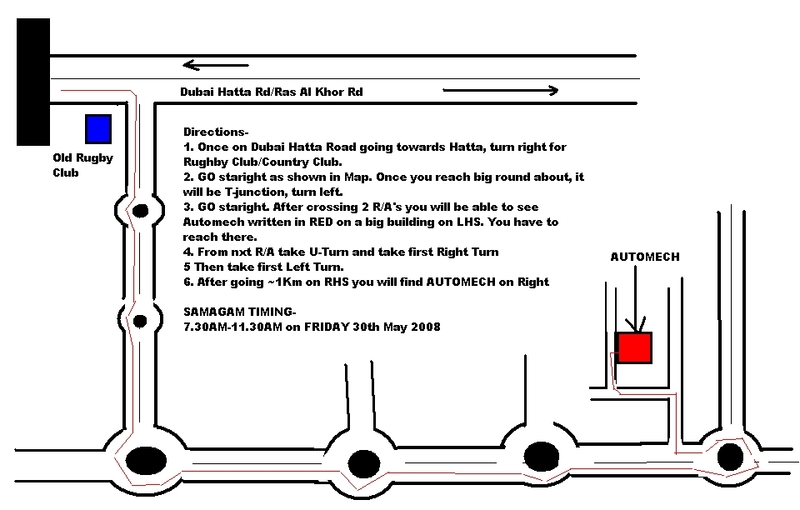 Venue- Automech Gurudwara, Aweer, Dubai. Map as attached here with. There will be langar for both breakfast and lunch. Kindly let all your friends know about this special Samagam. Note- There is a sincere request to all sewadars who intend to do Kirtan Sewa to kindly be there by 8.30 AM so that it is easier to organize and manage timings.